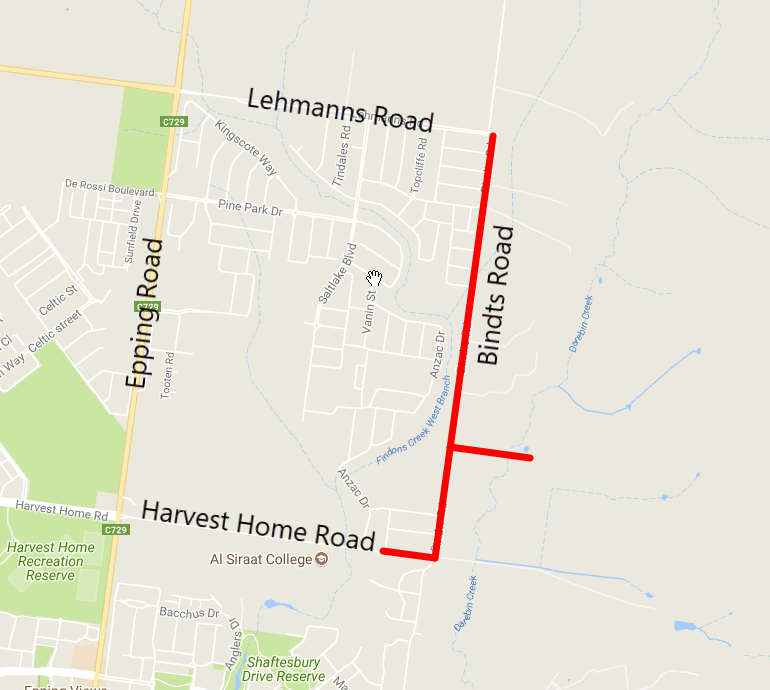 We constructed new water and recycled water pipes along Bindts Road, Wollert, ensuring future residential developments in Epping North, Wollert, Mernda and South Morang will receive a reliable supply of water and recycled water. Private land east of Bindts Road. The red line shows where new pipes were built.